Start the Microsoft Outlook program. 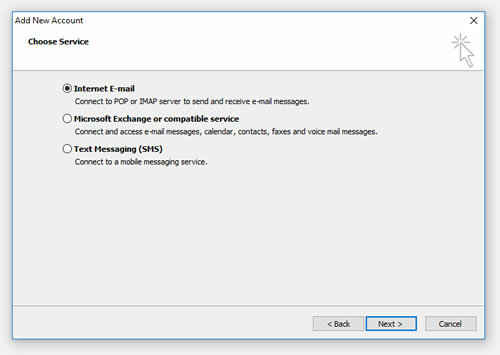 Use the Start menu to start Outlook 2010/2013/2016. 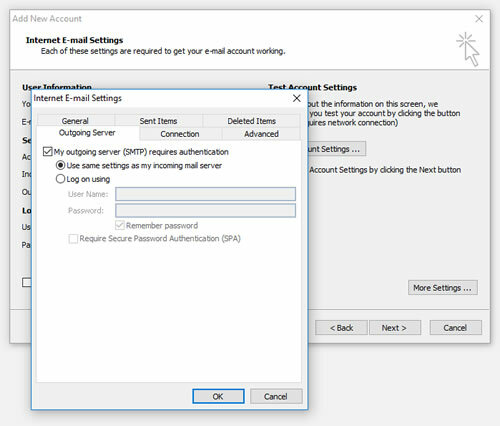 If you’ve never used Outlook before, it will prompt you to create a new account. In that case, skip ahead to step 2. If you have previously used Outlook and it doesn’t prompt you, click the File tab, then the Add Account button. 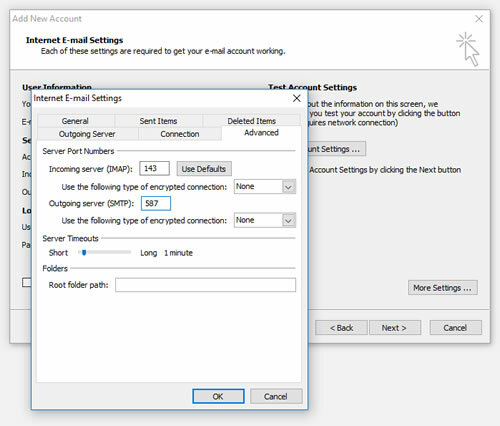 Choose Internet E-mail POP or IMAP, then click Next. This is the window where you’ll enter most of your account settings. You want the window to look like this “Your Name” is the name that other people will see when you send them e-mail. It should usually be your real name, such as Bill Gates or Joan of Arc. 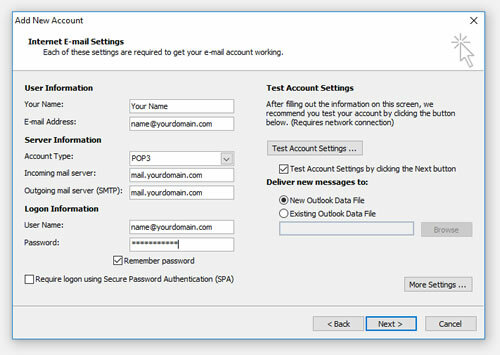 Enter mail.yourdomainhere.com for both the “Incoming mail server” and “Outgoing mail server (SMTP)”. 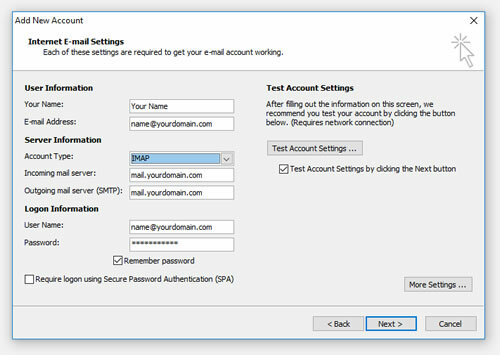 Type your e-mail password into the “Password” box. 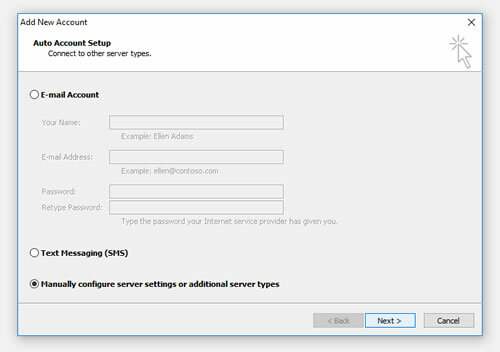 Click the “Advanced” tab, then change the “Outgoing server (SMTP)” port number from “25” to 587.